Consistent with what Cooley has been saying for years, attending law school is a good economic proposition. The mean pre-tax lifetime value of a law degree is approximately $1,000,000 according to a recent, widely read article called The Economic Value of a Law Degree by Michael Simkovic, Associate Professor of Law at Seton Hall University School of Law, and Frank McIntyre, Assistant Professor of Finance and Economics at Rutgers Business School. Professors Simkovic and McIntyre say that law school is a good proposition because law degree holders earn significantly more than similar workers whose highest degree is a bachelor’s degree. Law graduates are more likely to participate in the workforce, are less likely to be unemployed, and work more hours. The earnings premium of a law degree is cyclical, and recent figures are within historic norms. For most graduates, the present value of a law degree is several hundred thousand dollars more than the cost of that degree. And law students rarely default on their student loans. After controlling for observable differences, we find that a law degree is associated with approximately a 60 percent increase in expected median monthly earnings and a 50 percent increase in hourly wages, as well as reduced risk of unemployment or underemployment. We find earnings differences between men and women, and that these differences are due primarily to differences in hours worked. The law degree earnings premium is cyclical and recent years are within historical norms. Applying reasonable discount rates, we estimate the mean lifetime value of a law degree in 2012 dollars as of the start of law school to be approximately $1,000,000 before taxes, and $700,000 net of taxes. The Economic Value of a Law Degree debunks the positions advanced by many of the “scam-bloggers,” popular media, and, astonishingly, even certain law professors, who lack support for their bald opinions that law school is not worth the investment. Professors Simkovic and McIntyre provide substantial objective data to the contrary. They join Cooley law school in addressing the myths circulated by the ill-informed and the mean-spirited naysayers. They support Cooley’s position that now is a great time to go to law school. This summer, as a Cooley Law School student, I attended a study abroad program in Cape Town, South Africa through Howard University School of Law. 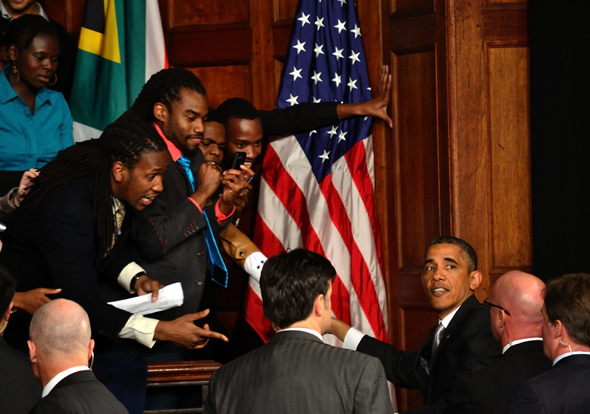 While in Cape Town, students were made aware that President Obama would be coming to speak. Professor Ziyad Motala made arrangements with the U.S. Consulate in Cape Town for us to attend this event. 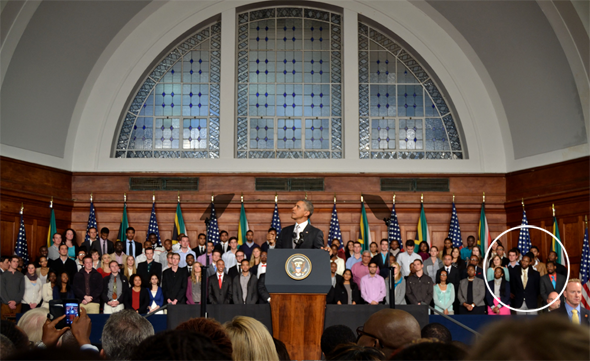 CAPE TOWN, SOUTH AFRICA — U.S. President Barack Obama at the University of Cape Town, June 30, 2013. Fortunately, we were able to obtain a few of the remaining tickets that would position us in a special section, directly behind the President during his speech. As the President spoke, I felt as though I was representing not just Cooley Law School, but our country as a whole. We were some of a few Americans in South Africa who were able to support our President as he was speaking. The President spoke about America building a stronger relationship with South Africa, and with the African nation. I walked away from this event learning several life lessons. First, I understood that no dream is too big. Last year while working on the President’s campaign, I wrote a personal letter to him. I believed that one day I would be able to place that letter in his hand, and on that day my dream came true. Cooley Law School student Luther Bunting Jr. reaches to shake the hand of President Obama. Second, I learned that we represent more than ourselves. I was able to represent not only my country, but Cooley Law School as well. How was I to know that on that day and at that time the opportunity to represent both institutions, one of freedom in the world and one of knowledge, would come. I am proud and thankful for the opportunity to represent our nation and our school to the world.